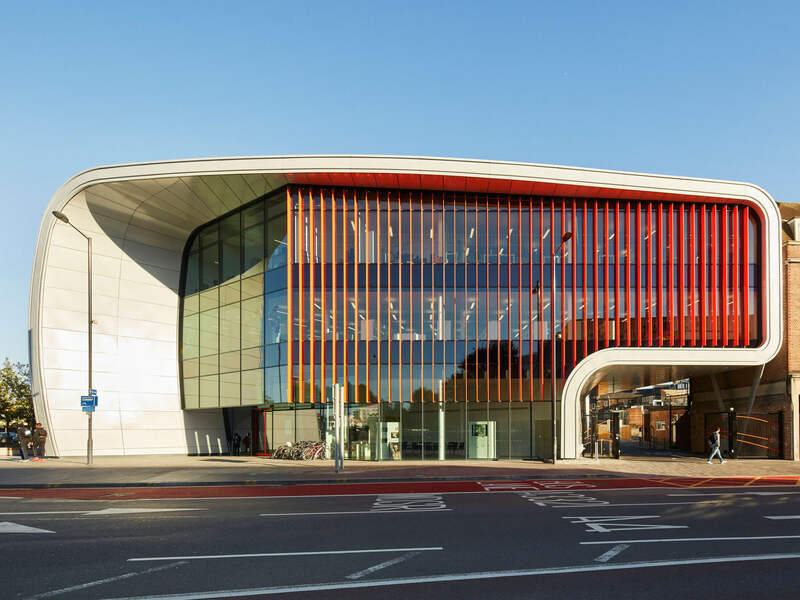 The Curve in Slough has won an LABC award in the 'Best Public Building' category, has delighted Metalline who supplied a wide range of architectural aluminium fabrications on the project. 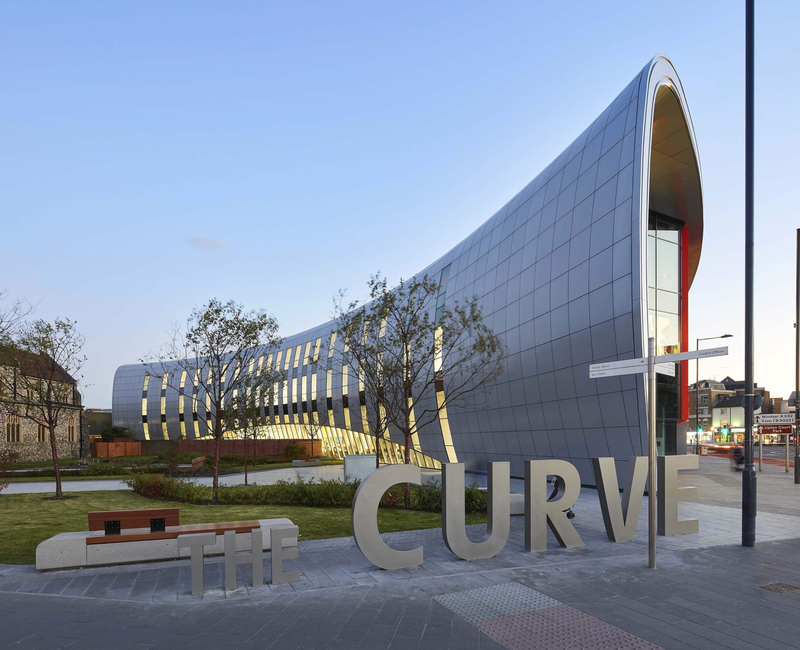 News that The Curve in Slough has won an LABC award in the “Best Public Building” category, has delighted Metalline who supplied a wide range of architectural aluminium fabrications on the project. 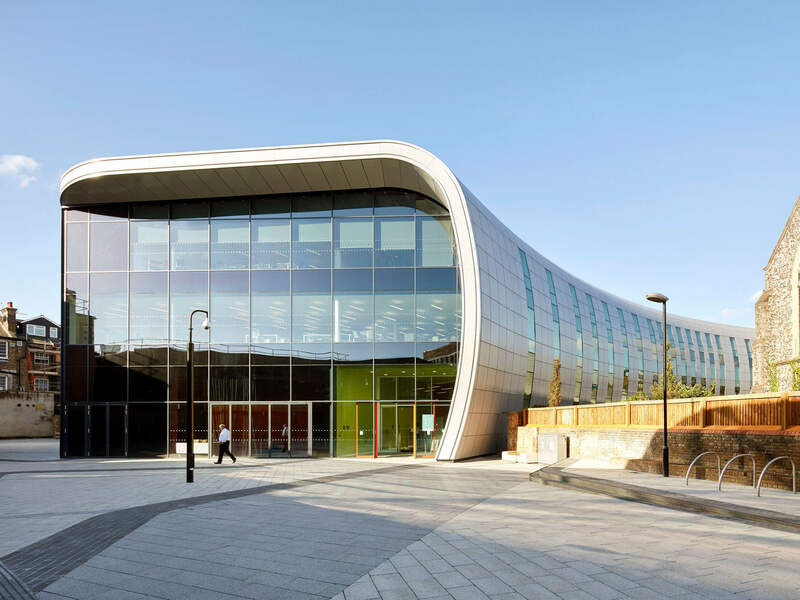 At the heart of a £450m regeneration scheme, The Curve is Sloughʼs premier cultural centre. Now complete, it houses a new library, café, museum, performance venue and learning rooms. 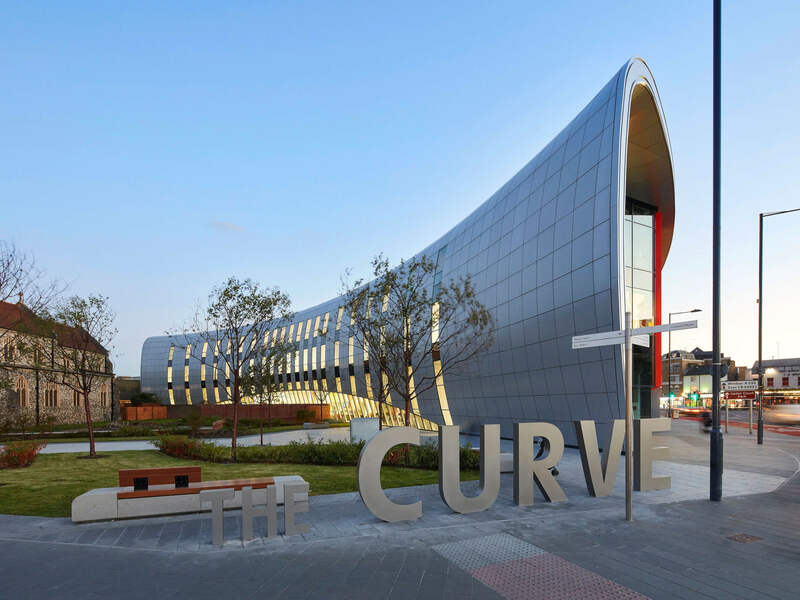 The iconic project features a bespoke cladding system curved on plan and in section. 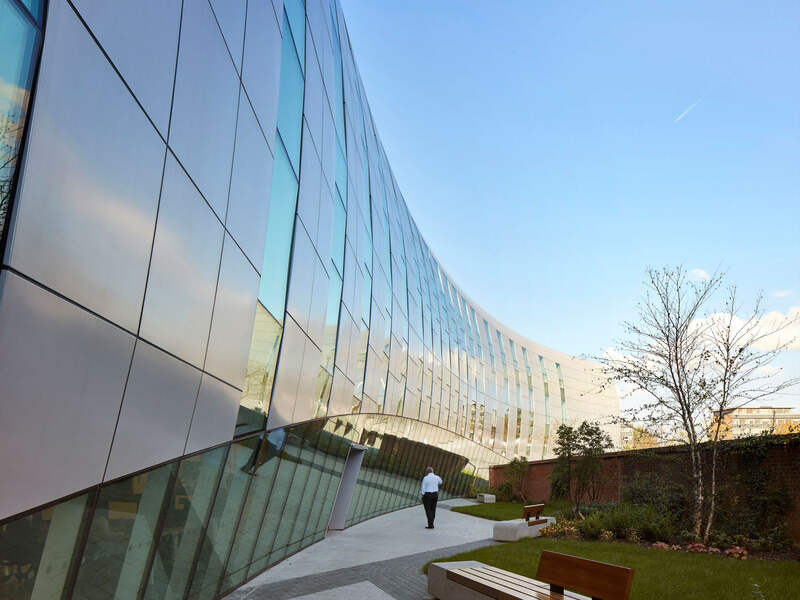 The complex geometry involved to the North, East and West elevations meant that Metalline were involved from an early stage with contractors Colorminium, who took responsibility for the detailed design and delivery of the full building envelope. Once Colorminium had specified their requirements for the project to Metalline, the architectural aluminium was supplied promptly and to the exact measurements and detailing. 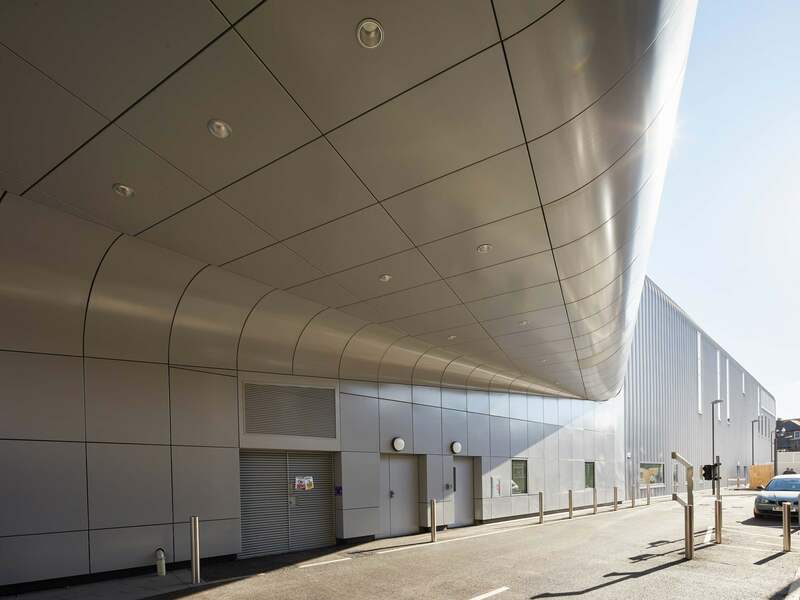 The bespoke cladding system features a range of Metallineʼs curved and straight fascia panels, Secret Fix soffits and curved Secret Fix hook on Unity rainscreen panels complete with welded studs to the rear and curved carrier system. 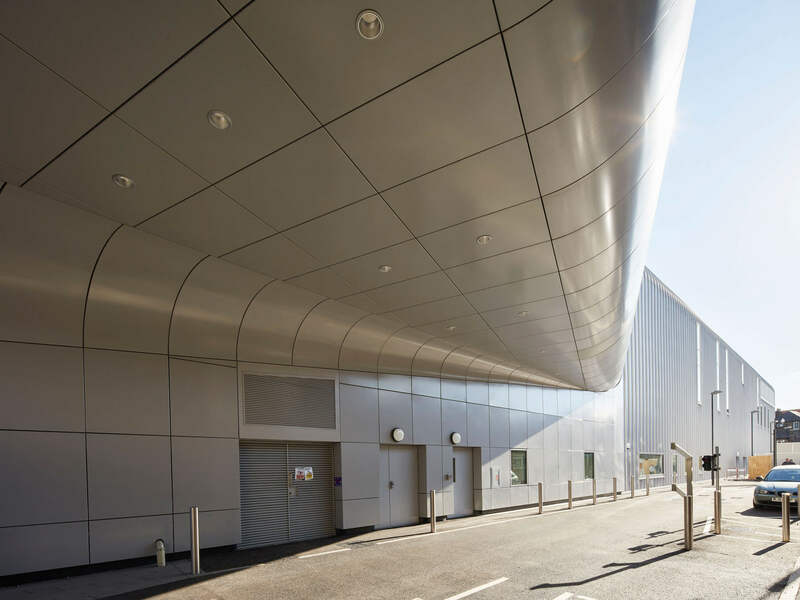 All panels and soffits were finished in a polyester powder coated RAL 9006 metallic silver finish to give the building a modern and high quality appeal. 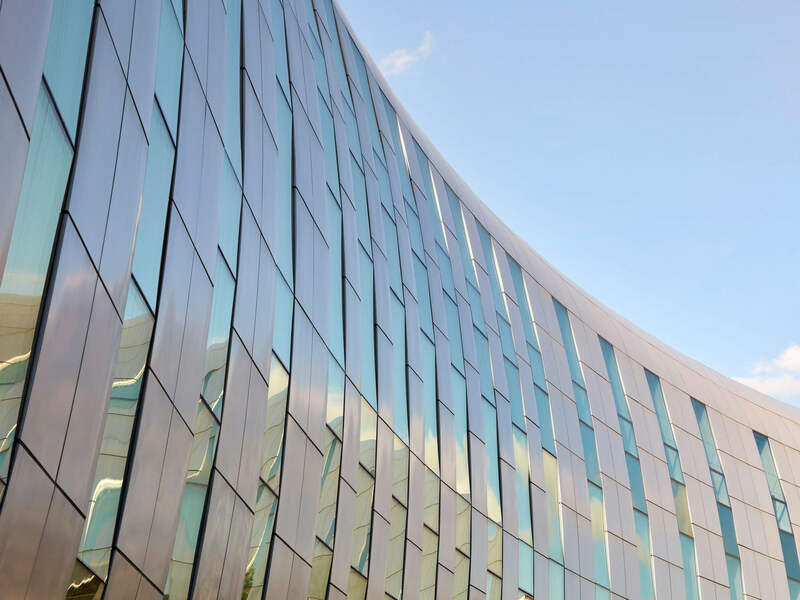 Metallineʼs aluminium rainscreen cladding now has CWCT certification which has provided architects and specifiers with limitless possibilities for their projects enabling them to use unique and elegant rainscreen designs. Metalline have perfected the art of manufacturing a range of fascia panels and aluminium Soffits. Our solution provides both an aesthetic finish and a weatherproof seal for a range of exterior environments.